Private landscape reserve to the north of the Ben Shemen forest, halfway between Jerusalem and Tel Aviv. A unique endeavor to re-create the physical setting of the Bible in all it's depth and detail, with plants mentioned in the Bible and in the Mishna, and an exhibition of reconstructed ancient agricultural instruments. 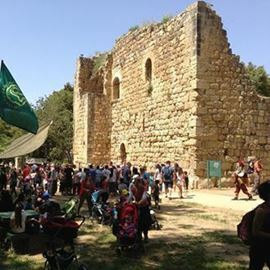 A variety of activities, shows and guided tours are held at the site, and there is also a water-operated flour mill that is the only one of its kind in Israel in working order. 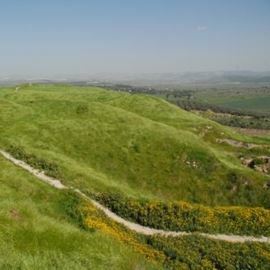 Neot Kedumim embodies the panorama and power of the landscapes that helped shape the values of the Bible and provided a rich vocabulary for expressing them. Photographer: Avishay Teicher. From a PikiWiki.